Blog | Why is Your Business the Perfect Target For Hackers? MAR 14 2016Views 912 Why is Your Business the Perfect Target For Hackers? With all the advancements happening in technology every day, businesses have no choice but to dive in head first. Businesses that are not accepting to the changing tech landscape will be left behind in the blink of an eye. This is why it is very important to always be on high alert for scams and other malicious threats. The modern hacker ranges from someone working out of their parent’s basement to highly trained criminal organizations located all across the globe. With this being said, businesses have the most to lose and often are the targets of the more sophisticated criminals. We have compiled a list below of the things attackers are looking for. Make sure these aspects of your business are kept under close watch. End user vulnerability is one of the first facets of your business that will be tested if someone wants access to your network. Your employees are the gatekeepers of your network and have access to all critical data. Attackers are aware of this, they are also aware that some of these employees can be fooled easier than others. Scammers are very good at singling out these individuals, and will exploit them for access to the network. The most common phishing scam is when the attacker poses as a higher up in the company and extracts critical information through intimidation. The attacker knows that if they could successfully mimic the CEO of a company there is no information a gullible employee won’t give up. Outdated technology is another big vulnerability to business networks. The older the technology, the more time attackers will have to learn how to bypass security features. In most cases once a technology becomes dated, it no longer is supported. This means that there are no more security patches or updates offered by the manufacturer to protect these devices. Outdated technology will act as a trap door into your network, and any experienced hacker will be able to easily exploit this weakness. Make sure everything on your network is up to date for optimal security. The type of data your servers contain can also single your company out. If you hold financial records of other businesses or have valuable client information there will be a greater chance of hack attempts on your network. This type of data can be a treasure-trove to a hacker. Not only does the hacker steal your data, they also steal all your partners’ business critical information as well. These are considered the most damaging types of attacks simply because of the amount of people and businesses that are effected. 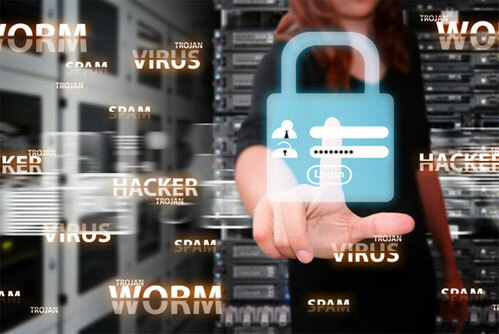 Your network security is a great line of defense, but with constant advances in technology, vulnerable end-users, and secret entry ways from outdated software, businesses must be more proactive than ever before.